Food and bacteria which is not cleaned properly from teeth, will lead to plaque, tartar, and oral diseases. This is a well – known fact in dentistry, backed up by research, science and clinical studies. Brushing alone, cleans the front and back surfaces of your teeth, however this is not enough to reach under the gum line and surfaces in-between teeth. Dental floss is used for just that, to clean around teeth, as well as under the gum line, to remove bacteria from your mouth (in theory). So if flossing cleans food from in-between teeth, this, should mean that flossing should reduce plaque, tartar, and therefore oral diseases as well as brushing. Now why I said “in theory” is because controversially, some clinical experts are going as far to say that flossing is pointless! Erm what? So why is the science and statistics for this so weak? See our full article below on how flossing can reduce your chances of illness, gum disease, halitosis and more! But most importantly HOW TO FLOSS – the right way. Did you know, that you can buy eco-friendly tooth floss in biodegradable materials such as silk? There is evidence to support how bad oral health can have adverse effects on our over all health. The exploration between the two has lead to new studies, which have found that bacteria may be able to enter the bloodstream through the gums. This can have harmful effects on the heart, such as blood clots and cardiovascular infections. There are many links between oral health and our overall health, here’s an article on the link between diabetes and gum disease. Plaque and tartar which is not effectively cleaned from teeth will cause bacteria filled ‘pockets’ around teeth. At a glance, this looks like a hard yellow residue around the bottom of teeth. 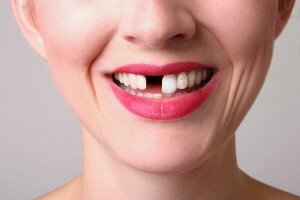 If this is not treated, the pockets around each tooth will become deeper. This will cause gingivitis, which is an inflammation of the gums. Gingivitis, over time will become more severe causing periodontitis also known as gum disease. Gum disease can cause decay, tissue loss and bone loss, which will eventually cause tooth loss. Did you know that gum disease is the leading cause of tooth loss? Here is our full article on what is gum disease? There are many contributing factors to why people develop bad breath (also known as halitosis) and were not just talking about after you have a coffee. What many people do not know, is that flossing is one of the main factors which can help you prevent bad breath. Bacteria can build up on your tongue, gums and in-between your teeth. People brush the front and back surfaces of their teeth, but it could be the bacteria in-between their teeth which could be fermenting and undesirable stench. 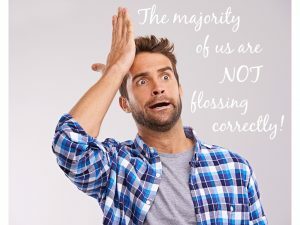 This is why flossing as well as brushing, can prevent or eliminate bad breath completely! If you’re are experiencing regular bad breath, even with brushing and flossing, this could be an underlying condition and you should consult a dentist to check your oral health, you can book with one of our dentist’s today at the Brighton Implant Clinic. Here are some wise words from Dr Silva from the Brighton Implant Clinic. There are many different types of dental floss and it is important to find the right one for you. Floss can be waxed/unwaxed, flavoured/unflavoured, ribbon or tape. Commonly, waxed floss is considered easier to slide between the teeth however, your decision should be based on personal preference. Half of the battle seems to be adding flossing into our busy schedules. Make flossing part of your everyday routine, choose the most convenient time for you and make it a habit, not a chore. Do not cut corners when it comes to flossing – floss one tooth at a time. You need to target all areas around a tooth, meaning, use your forefingers and thumbs to pull dental floss from the gum line to the tooth’s top to scrape the plaque off each tooth as well as flossing each side of your tooth. Sometimes we should all be a little bit more frugal, but not with dental floss. You should be using an estimate of 18 inches every time you floss. It is important not to reuse floss sections, as this is likely to transfer bacteria between teeth. When flossing your teeth it is important to hold the floss around a single tooth’s front as well as back, forming a “C” shape. To remove food and bacteria effectively, floss gently towards the tooth’s base, as well as just under the gum line. These steps should be repeated for each tooth’s side, which includes the last tooth’s outermost side as well. If you have dental implants it is still very important to floss daily around your teeth and gum line. Dental implants must be cared for as if they were your own teeth, in doing so, this will ensure that your dental implants will last. There are different types of dental implant treatments, therefore caring for dental implants is dependable on the fixture you have. For single dental implants, we recommend Tepe Bridge and Implant Floss, with the flossing tips above! With a full upper or lower arch restoration using dental implants, it is advised that you use interdental brushes and an electric flosser also known as a Water Pik. For more information on dental implant treatments or care, visit The Brighton Implant Clinic. Maintaining good oral hygiene is essential when having braces. Fitted braces have small spaces! Food particles and bacteria can get trapped in between bands and brackets. This can cause enamel staining as well as tooth decay. Floss teeth daily, making sure to floss properly between brackets as well as underwires. SUPERFLOSS, super floss is a kind of floss that is specifically designed for braces, bridges, and small to wide spaces! Use this with your braces, bridges and implants to reach difficult areas, available over the counter. Maintaining good oral hygiene means regular dental check-ups. This is to check, prevent and advise you on your dental health. If you are experiencing any of the symptoms listed below then it is advisable to make an appointment with a dentist. Bleeding gums when flossing or brushing. Tender, swollen or red gums. Gums that are receding from teeth. Changes in alignment of your teeth, including bite. Unusual taste in the mouth or bad breath.